Charles Todd (website) is a pen name of an author duo: Caroline Todd and Charles Todd, mother and son. Caroline Todd and Charles Todd have so far co-authored two historical mystery series, both evolving around WWI and two standalone novels. Caroline has an undergraduate degree in History and English Literature, as well as a Masters in International Relations. Charles has a background in business, communications, and management, with a BA in Communication Studies focusing on Business Management. He also has a degree in culinary arts. Charles has been working as a corporate troubleshooter for several years, and he keeps his day job separate from that of writing books. Many readers are surprised to learn that Charles and Caroline are American writers since their two series focus on the history of England. Charles is a Board member, Chairman of the Edgars Committee, as well as Secretary of the Mystery Writers of America. The author team lives in Delaware and North Carolina. Their best-known mystery series is Inspector Ian Rutledge, a series which was started way back in 1994. Reading the series in order is well worth especially for the fans of historical mysteries. In 1919 Ian Rutledge has returned from WWI where he served as an officer at the front for five years. Now he is back and suffering from PTSD, which back in the day was called shell-shock. During the war he got a solder executed because said solder didn’t want to fight. This caused him major inner trauma, one which he is still trying to get over. Now back at home, he has resumed his prior duties as a Scotland Yard inspector working to solve murders. Currently, the series has 20 main books and several short stories. The latest book in the Ian Rutledge series is titled The Gate Keeper, published in 2018. A second series co-authored by the mother and son team is Bess Crawford, featuring a British army nurse in WWI. 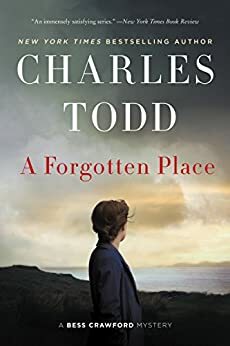 Currently, this second series includes 10 books with the latest A Forgotten Place published also in 2018. 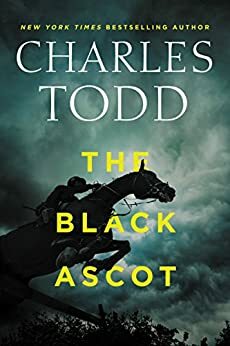 Here are the Charles Todd books in order for the author team’s two historical mystery series. The books are listed in chronological/reading order with the year of publication added in brackets. To read the books in proper chronological order, you might want to start with A Fine Summer’s Day as book #17, which was published in 2015, but takes place before Ian went to war. It was his last case before the war outbreak.